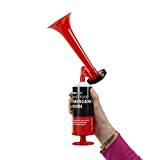 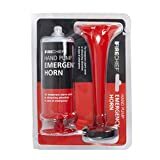 Pump Action Emergency Air Horn is very easy to operate, just pull the handle down then push back into the horn to make the sound. The horn requires no gas to operate. 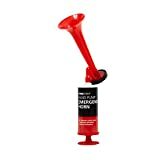 Ideal as a temporary fire alarm, for fun at football matches and school events. The quicker the pump handle is operated, the louder the sound. 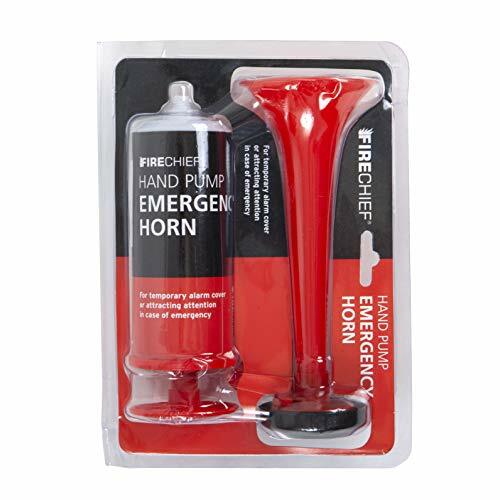 Minimal assembly required, just open the package and attach the horn onto one end of the pump.